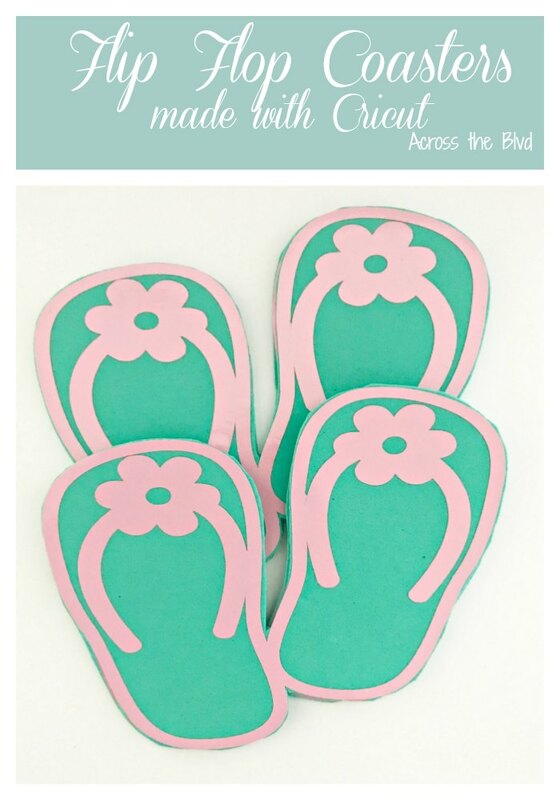 I’m keeping summer going with these fun flip flop coasters for a summer party! 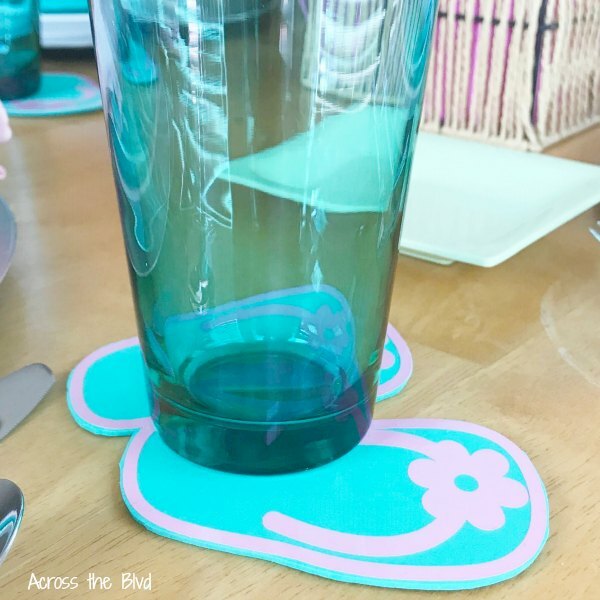 I love making coasters to go with a party theme and these were quick and easy to make. The pops of color are are perfect for a festive party. I made these coasters to go along with the Flip Flop Centerpiece that will be the focal point of the table. 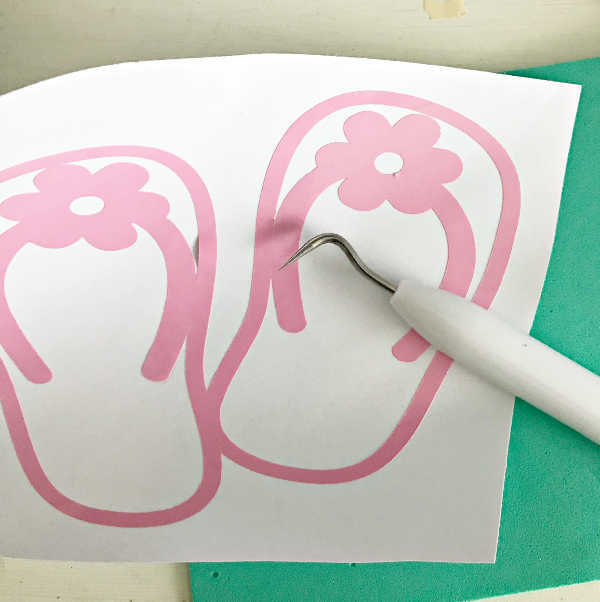 Using Cricut Design Space, I found templates for flip flops. 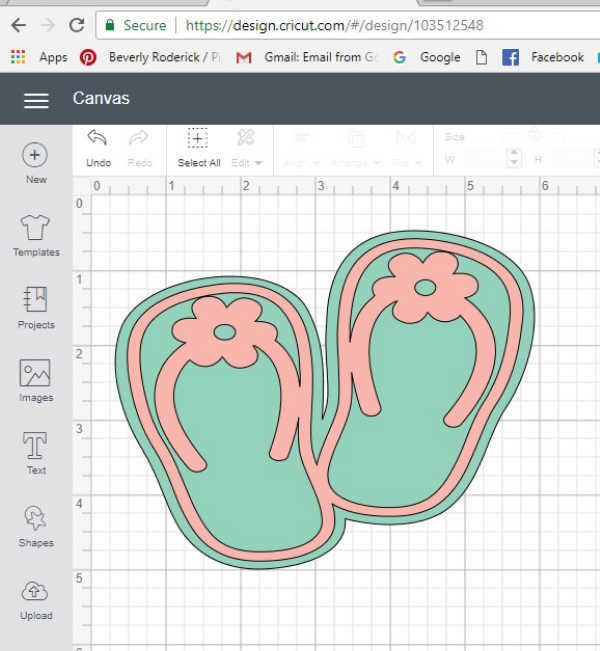 After inserting the image into the canvas, I resized them to the appropriate size for coasters. I liked that these were attached to each other instead of being two completely separate pieces. I changed the colors to match how I planned on having them look in teal and pink. The pink straps were cut using vinyl. 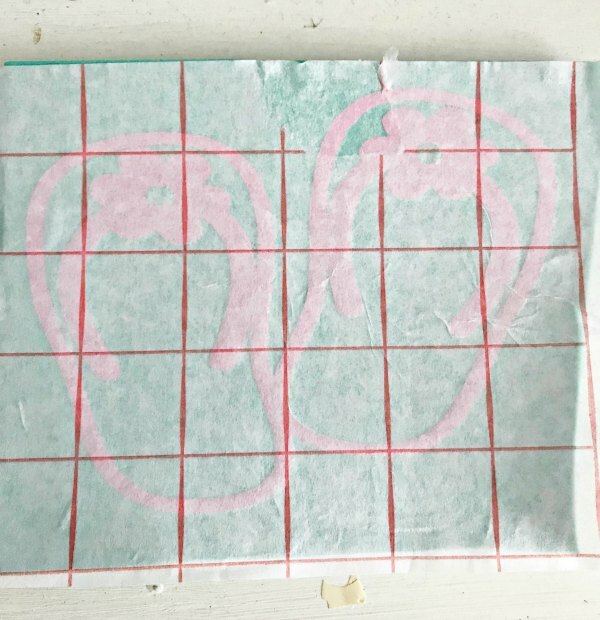 I’m still learning a lot about how to use my Cricut Air Explore 2, but one things I’ve decided is that I prefer transfer paper over the clear transfer tape. It seems easier to work with to me. After weeding the extra vinyl away from the pattern, I placed transfer paper over the straps and used the scraper to make it adhere to the paper. Next, it was placed over a sheet of teal foam. I used the scraper to make sure the straps were sticking to the foam. Once that was done, I cu the foam around the edges of the straps. I used a small bit of sandpaper to go around the edges of the foam to smooth it out. It took less than 30 minutes to make a set of four coasters. Are you holding onto summer for a bit longer? Fall will be here soon enough, but this week, we’re still in summer mode! So cute!! Thanks so much for taking the time to stop!! Thanks, Debbie. 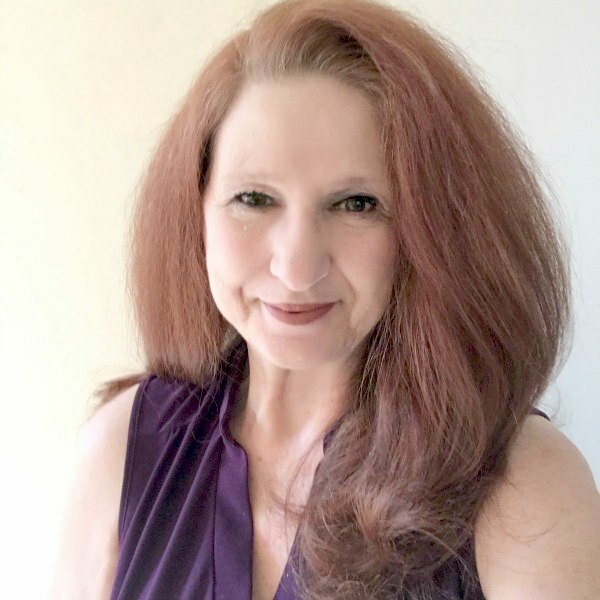 Thanks, too for linking up at our parties each week.